Makara Journal of Science is a member of Cross-Ref and is indexed in the Google Scholar, DOAJ, EBSCO, ISJD, as well as IPI databases. The journal is published by the Directorate of Research and Community Engagement, Universitas Indonesia, and has been categorised 2nd level in National Accreditation by the Indonesian Directorate General of Higher Education (DIKTI) in decree No. 21/E/KPT/2018, valid until December 2020. 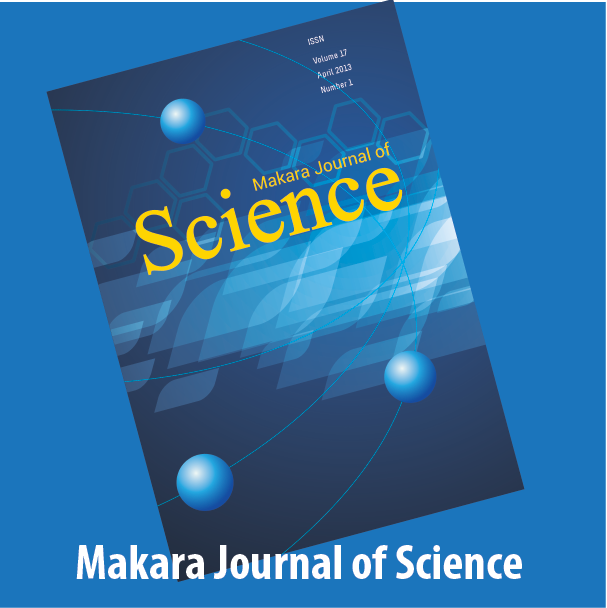 Makara Journal of Science by http://journal.ui.ac.id/index.php/science/ is licensed under a Creative Commons Attribution-ShareAlike 4.0 International License.